A 6km walk or bike ride – around a very pretty lake – with mountain views. 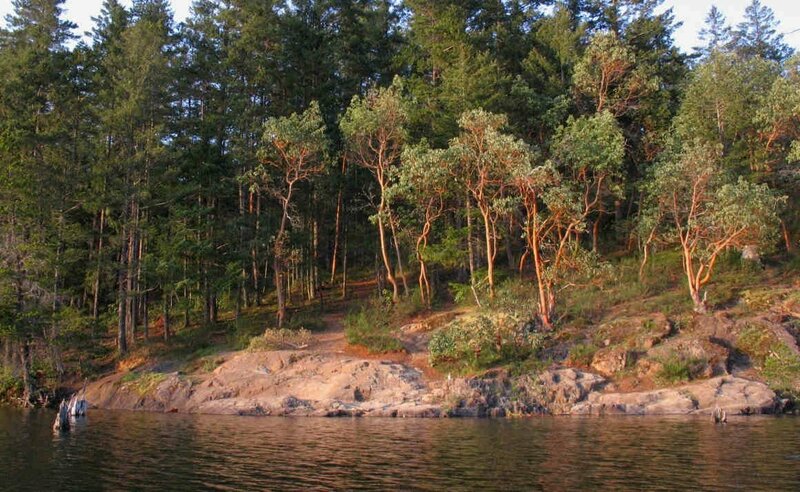 Westwood is Nanaimo's most popular lake for swimming, running and walking. The landscape here creates an illusion of being farther from the city, even though Westwood Lake is only 4 km west of downtown (a 7-8 minute drive). The well-maintained trail around the lake is 100% forest, beach, and boardwalk – it's a serene place. And if you come on a clear day, you'll get a great close-up of the mountain, and even some views of the ocean. You can reach the knoll at the northeast end of the lake quickly via a trailhead near the top of Calder Road. It's a great spot for a quick picnic or a romantic rendezvous!